In a society that continues to push towards technological advancements, more and more photographs are ending up on the Internet rather than on the mantelpiece. This does not mean that traditional photographs and custom frames in San Jose are any less special; rather, they may be becoming even more valuable because they look professional and require attention to detail. 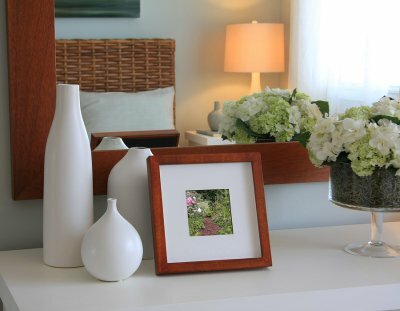 If you aim to keep conventional photography alive and plan on using unique picture frames for your work, keep reading for assistance in selecting frames for your photographs. Photograph frames do not offer a “one size fits all” frame, and each individual piece may work well with a number of different framing styles. When it comes to custom picture framing, your taste and creativity are the most important elements to consider. You might want to bolster a small photograph with a large frame to create a larger piece, or you might want to use contrasting colors and shades to affect the way people view your picture. Shadow box frames can be useful for small and large pieces alike, and they can allow you to combine several different pieces into one aesthetic focal point. Framing in general is an important facet of photography and art as a whole; your frame can protect your delicate art piece as well as show it off in a cosmetically pleasing manner. Custom framing, however, offers even further benefits and allows artists to keep their pieces perfectly original and unique. If your photograph does not adopt traditional dimensions or features eccentric shapes, custom framing can help to accentuate these features rather than hide them. Your custom frame will fit your photograph perfectly, allowing you to hang it proudly in your home and graciously accept the ensuing compliments. When custom framing is done properly, it can significantly enhance the appeal of your work. Do some quick research before deciding on a custom framing service so that you get the most for your money. It is typically a good idea to compare different companies to see what their services are like.